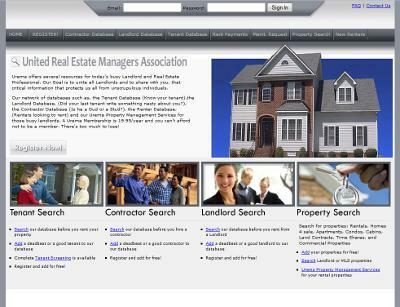 Al – the owner of the United Real Estate Managers Assocation – has worked with us in the past for some website updates and maintenance he has needed. This past week, he also returned to us again for some more work. Recently, his hosting provider upgraded the MySQL systems that they used. In essence, they forced all of their customers to update to the new version of MySQL – or else their database(s) would cease to work. This is what happened with Al. He told us that the hosting provider upgraded from MySQL 4.x to MySQL 5.x and because of this, the login capabilities and other database functions of his website stopped working. Upon getting into the file-level access of his site, we saw that the previous designer made a huge mess of the programming on the site. There was probably two or three copies of the site that were installed throughout the file manager – but we didn’t delete or change anything just to be sure. Instead, we had to update 50+ files that contained the database information so that his website would begin to interface with the new database. Although it took us quite a bit longer to make the requested changes, we provided Al an estimate for the work and we stuck with the price. Al was exceptionally pleased with our fast turn-around and the thorough nature of our services. Once we made the changes to his website, we then ensured that all of his search functionality and login functionality was working propery after the change.